Summer is off-season in the Caribbean and Mexico – so it’s the perfect time to score a great rate (starting at $230/night) at a five-star resort you might otherwise not be able to afford. Yes, it’s hotter and more humid at this time of year, but you can generally expect good weather for at least the next eight weeks, as hurricane season doesn’t typically kick into gear until late July. Here’s a sampling of what’s being offered at 10 luxurious resorts ideal for a honeymoon, anniversary, or special romantic getaway. Four Seasons Resort, Nevis: With the “Stay Longer – Third Night Free” package (valid until September 30, 2011) at this newly renovated 196-room resort, set on Pinney’s Beach (shown above at left) on tranquil and historic Nevis, room rates begin at $345 per night for a king-bedded Deluxe Mountain-Side Room (that’s just $230 a night after the free night is applied). 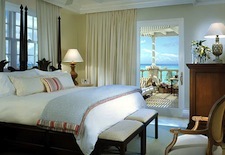 Rates on Deluxe Ocean-Side Rooms are $545 per night, or $363.33 per night with the free night applied. 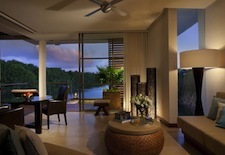 The resort also features four restaurants and a relaxing, colonial cottage-inspired spa. The Regent Palms, Turks & Caicos: Book a stay at this luxury resort on Grace Bay by June 1 and you’ll get every third night free, though December 19, 2011. The Regent Palms features 72 spacious rooms and suites (shown at right), all with balconies and king-sized beds (suites have kitchenettes and a living area) and a 25,000-square-foot spa. Rates start at $450 per night (bringing stays of three or six nights down to $300 per night) and include daily continental breakfast, free use of the spa facilities and all non-motorized water sports equipment. Jamaica Inn, Ocho Rios, Jamaica: This charming, periwinkle-hued, retro-chic resort on its own private beach has a "Summer Getaway" package, valid through December 14, 2011 (the resort is closed September 8 to October 23). Book four nights in a Deluxe Verandah Suite – with newly renovated bathroom and spacious outdoor verandah with sofa and dining table – for $345 per night or Premiere Verandah Suite for $420/night and get fifth night free as well as a nightly dining credit of up to $50. The food is fabulous (see my full resort blog), and the ambience is totally romantic. Rosewood Mayakoba, Riviera Maya Mexico: If you like the idea of a jungle-meets-ocean vibe but don't want to sleep right next to a resort’s beach (which is five-minutes away by golf cart or lagoon boat), this modern resort with 128 sleek and contemporary suites set amid 1,600 acres of mangrove-studded lagoons just south of Cancun has a terrific deal for you. Book the Rosewood Escape (booking code ESCAPE) through October 31, 2011 and nightly rates drop to $400 for a Lagoon Suite, $475 for a Deluxe Lagoon Suite, $500 for an Island Suite and $550 for a Deluxe Overwater Suite (shown at left), including daily breakfast buffet for two at Casa del Lago restaurant. Cotton Tree, Grand Cayman: If you want more than a room at a resort, consider staying at this intimate and charming property, which has just four pastel-hued, 1,600-square-foot two-bedroom cottages located steps from Grand Cayman’s legendary beaches. Summer rates for couples (until October 31, 2011) are just $365 per night for a Garden View Cottage and $415 a night for a Sea View Cottage (couples rates are for a cottage, minus one bedroom). Or if you like to travel with another couple, book an entire cottage for $470 or $625 a night. 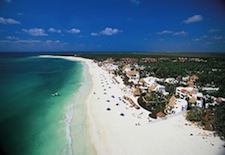 Maroma Resort & Spa, Riviera Maya Mexico: This atmospheric and authentically Mexican resort, with 65 rooms and suites set on one of the region’s best beaches (shown at right), has a variety of summer offers with a minimum stay of three nights: With the Ocean Suite Escape, get 25 percent off suite rates (starting at $499 per night with the discount), plus welcome cocktails, daily à la carte breakfast for two and a snorkeling trip to two. With the Resort Credit deal, rates start at $395 per night and include a resort credit of $250 for a three-night stay and $500 for a seven-night stay, plus welcome cocktails, daily à la carte breakfast for two, and a snorkeling trip for two. With the Gourmet Package, rates start at $495 each night and include welcome cocktails, daily à la carte breakfast, two dinners for two with a bottle of house wine per meal, and one snorkeling trip for two. 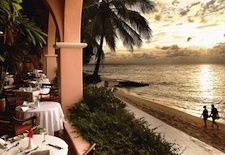 Hotel Guanahani and Spa, St. Barts: Available until December 17, 2011, the three-night “St. Barts Spree” package at this just renovated resort with 68 luxury rooms and suites set in cottages, includes three-nights’ accommodation, daily full American breakfast at the beachfront Indigo restaurant, lunch or dinner at any of Guanahani’s three restaurants, one complimentary cocktail per person per day at one of the hotel’s bars, a car rental, and private round-trip airport transfers. The package starts at 1,470 euro ($2,085) for a Garden View Room. Or choose the five-night “Lune de Miel” package and add complimentary first-night clothes pressing, an in-room romantic candlelit dinner for two (instead of the lunch or dinner), a Clarins couples massage, a cooking class, a wine tasting (instead of the complimentary cocktails) and his-and-her daily gifts for each night of your stay. This package starts at 2,150 euro ($3,050) for a Garden View Room. The Fairmont Royal Pavilion, Barbados: Book the “Romance Package” at the recently renovated 72-room Fairmont Royal Pavilion (www.fairmont.com/royalpavilion), with its elegant, plantation-house décor and pristine golden-sand beach (shown at left), and get a great rate, plus romantic extras. The package, bookable through October 31, 2011, starts at $480 a night and includes champagne and chocolate upon arrival, daily à la carte buffet breakfast for two in the oceanfront Taboras restaurant, one candlelit dinner for two with wine pairing at the oceanfront Palm restaurant (one per stay), complimentary non-motorized water sports, and complimentary afternoon tea daily in the Taboras restaurant. Ceiba Del Mar Beach & Spa Resort, Riviera Maya, Mexico: Book the “Luxury Gourmet Plan” through August 31, 2011 at this 88-room boutique resort located just south of Cancun and for $192/person per night get not only an airy oceanfront room with a balcony but also three meals daily, as well as snacks and premium beverages. 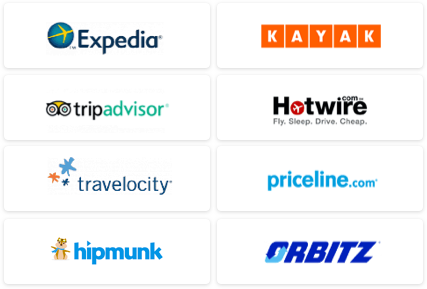 Plus, complimentary amenities – such as free airport transfers, local tours and excursions and a $200 spa credit – are added with each additional night’s stay. The Ritz-Carlton, St. Thomas: This 180-room property, designed in the style of an Italian villa, sits on a lovely beach facing the sparkling blue water of Great Bay and the island of St. John. It’s in the U.S. Virgin Islands, so no need to exchange money or deal with U.S. Customs, and with Ritz-Carlton’s Caribbean-wide “Resort Reconnect” package (valid through December 22, 2011), rates start at $359/night, including daily breakfast for two and a daily $100 resort credit. “Resort Reconnect” is also available at Ritz-Carlton properties in Grand Cayman, Puerto Rico, Jamaica and Cancun, from $289 to $349/night. 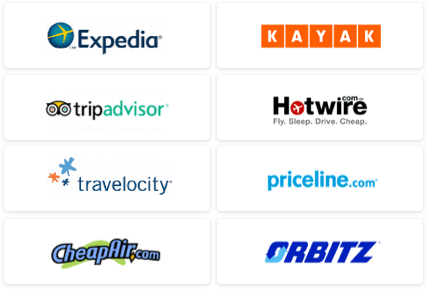 See our Nevis, Turks & Caicos, Jamaica, Riviera Maya, St. Thomas, Barbados, St. Barts and Grand Cayman Travel Guides for more trip-planning information, then use our Travel Search price comparison tool to find the lowest rates on flights, hotels, packages, and more travel deals.